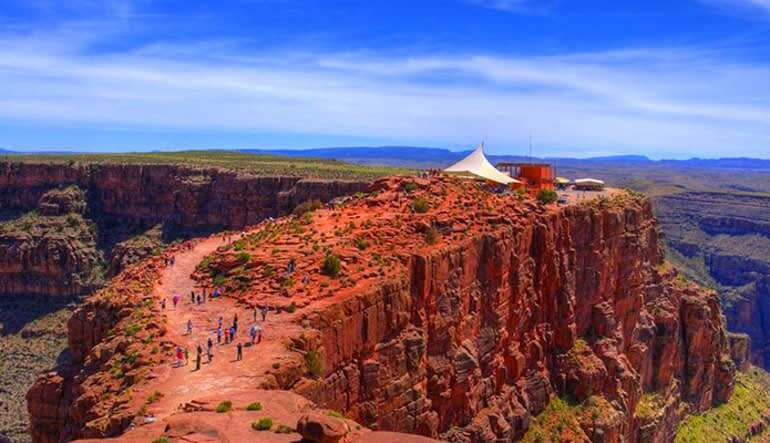 Get ready for a sightseeing extravaganza to the West Rim of the Grand Canyon! Your professional driver/guide will provide live narration en route to the Grand Canyon from Las Vegas, while you sit back and relax on board a state-of-the-art deluxe motor coach. Your tour will begin with a photo stop of Hoover Dam taken from the amazing O'Callaghan-Tillman Bridge, with enough time to enjoy the majesty of this engineering masterpiece. Educational narration will follow as you travel through the ancient Joshua Tree Forest en route to the West Rim of the Grand Canyon. 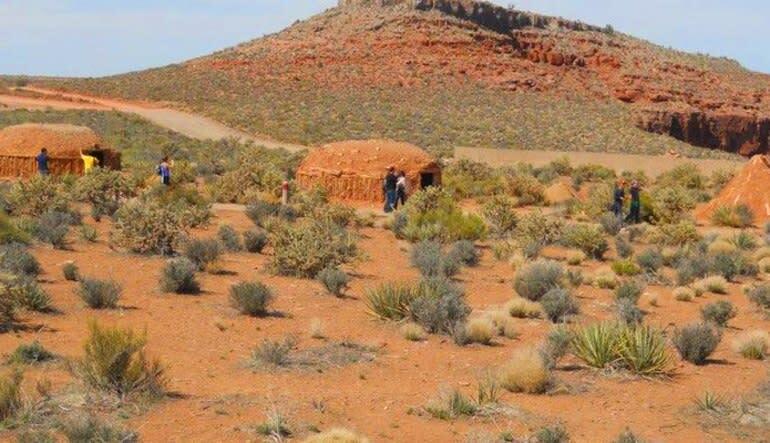 At the West Rim, visit the Hualapai Ranch and take in a Wild West Show with good ole Wild West gunfights! 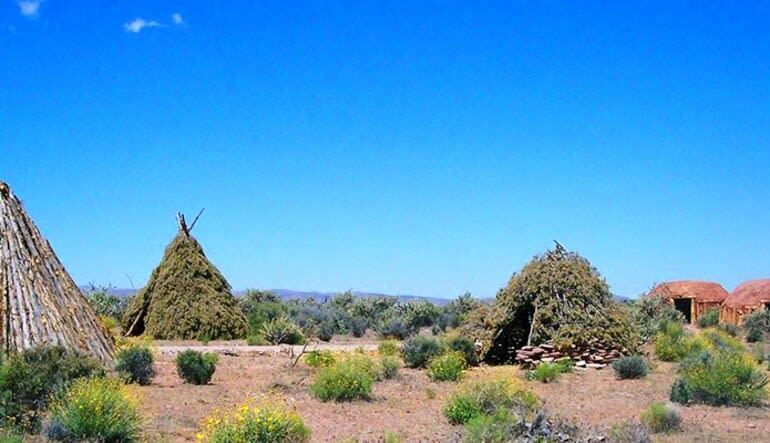 Explore the Indian Village and the Hualapai Market while taking advantage of the many photo opportunities with your hosts the Hualapai Indians. 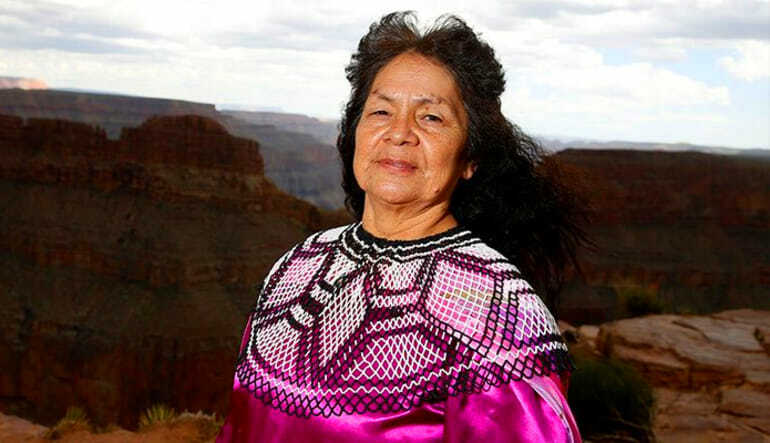 Learn the history and geology of the Canyon from our Indian guide. 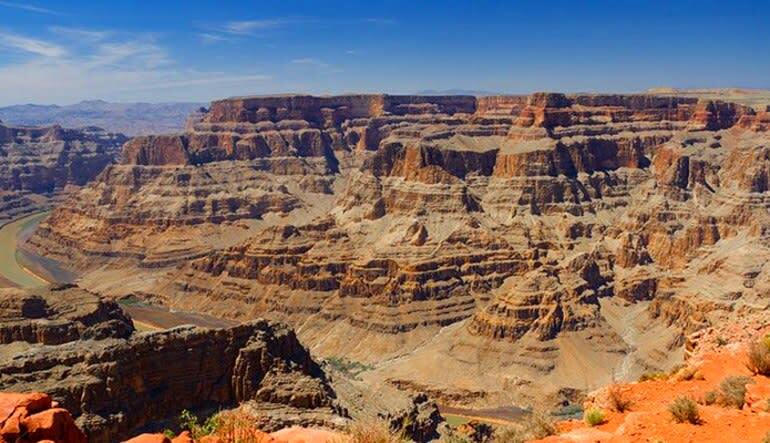 Incredible sights await you at the beautiful Grand Canyon West.